“I speak of Love awake, I speak of Love in my dreams.” - Mozart, the Marriage of Figaro. 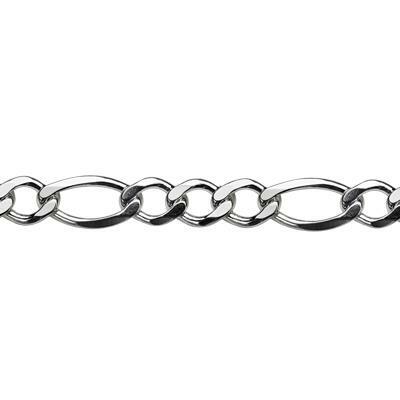 Our 2FIG4520 – Bright Sterling Silver 4.7mm Diamond Cut Figaro Neck Chain. 20-Inch, finished with a Lobster Claw. This chain originated and is made in Italy, named after the popular Italian opera The Marriage of Figaro. Figaro chains are usually worn by men and embellished with a Sterling Silver Cross or Pendant. However, this light-catching chain is so gorgeous, women just may be tempted to wear it instead. I was very pleased with the weight and appearance of the figaro chain. If I remember correctly, it was less than $13.00. It is a substantial chain for that price and I will definitely be buying more in the future. It's a good weight for a man's chain.